Enjoy a Luxury Stay at Corbett Leela Vilas this Monsoon at just 2222 INR Per person! Corbett National Park is a great place to be in monsoon. Diverse variety of exotic flora and fauna species in the midst of paramount tranquility is all what a wildlife lover and nature enthusiast craves for. What can be a better delight than blending the tour to Corbett with a luxurious and cozy stay? To render you a relaxing accommodation at a reasonably affordable price, Corbett Leela Vilas offers a stay at just 2222 INR per person. For an outstanding and regal stay in the proximity to Corbett National Park, Corbett Leela Vilas is a place that can be compared to none. Positioned among the lush surrounding of woods, Corbett Leela Vilas is situated in the buffer zone of park near Bijrani Gate and is encircled by the verdant fauna. 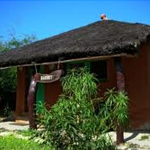 The cottages offered by us render absolute and comfort to both the international and national tourists. Jim Corbett National Park, set in the foothills of magnificent Himalayas in Uttarakhand, is an Eden for wildlife aficionados in the country. Endowed with an unsurpassed opulence of nature, the park has a wide-ranging wildlife and engrossing landscape. The first tiger reserve in the country and first national park in India, Corbett, is a harbinger in conserving the flora and fauna species that are on the verge of extinction. The park is certainly a delight to the eyes of wildlife buffs. 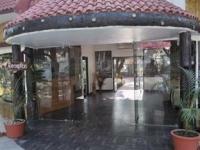 Moreover, Corbett offers several snug forest lodges that are apt places for comfortable and luxurious stay as well. The forest lodges in Corbett are designed to bring the comprehensive settings for the visitors according to their needs and taste. These lodges render tourists with comfortable table accommodation in the midst of natural exquisiteness. 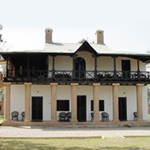 Some of the best forest lodges in Jim Corbett National Park are.. The oldest and among the most popular national parks in the country, Corbett National Park is a great haunt of nature and animal lovers. Home to the endangered Bengal tiger, the park was set up in 1936 and is located in the state of Uttarakhand. Earlier the park was known as Hailey National Park, but was later renamed Jim Corbett National Park after the legendary British hunter Jim Corbett. 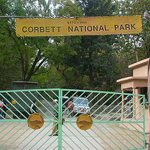 In fact Jim Corbett was instrumental in the establishment of the park, which for the record also holds the distinction of being the first to be included in the Project Tiger initiative.